Click To For a Closer LOOK! They say that the first time of anything important is the most important time and especially if it has to do with an investment that is going to make you a better person and give you a better healthier mide and body. Whether you have attended spinning classes before or are looking to buy the best spinning bikes, we can help with this guide. If you want to start working out at home, it is imperative that you invest some time, look at a good fitness buying guide for spinning resources in ensuring that you make the right choice in buying a spinning bike that will be kinder on your wallet but will offer the best workout and support features that you need on spinning bikes. We hope to guide you with these tips and guides. No way we can cover everything in this guide however it is a great starting guide for a beginner! A Spinning Bikes is a very different beast compared to most other kinds of indoor cycle on the market. Spinning Bikes are designed with the aim of providing a realistic cycling substitute that closely replicates what you would experience on a road or track bike. Spinning Bikes are the best product for bringing the outdoor cycling experience indoors and this is reflected in rise of Spinning and other indoor cycling classes to becoming one of the most popular exercise trends in the world. What are the defining characteristics of a Spinning Bike? Body Position – Perhaps the greatest similarity to a road bike is the low body profile. The saddle and handlebars should be roughly at the same height to simulate the dropped down handlebar position of road racing machines. Handlebars tend to offer different position options that instructors will typically call first, second and third. Each of these allow the rider to cycle different positions to work muscle groups in different ways when performing seating and standing climbs, flats, sprints and jumps. 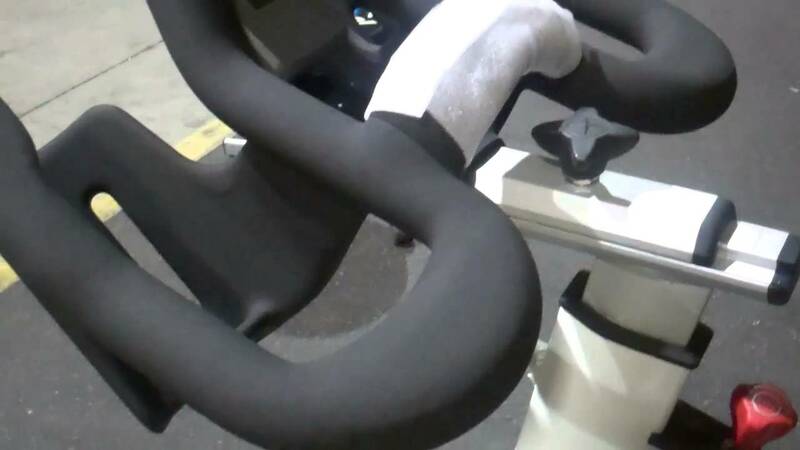 Pedals – Spinning Bikes pedals will come with a toe strap which allows the user to tightly fix their foot to the bike. Many bikes, especially those in a commercial environment will have a fixing for the SPD cleats on specialist cycling shoes which are more secure than toe straps. The idea being that the ability to both drive down and pull up on the pedal, again increases the likeness to a road bike, but also works more muscles and allows the user to cycle against greater resistance. Flywheel – Spinning Bikes use an open front flywheel, driven by a chain or belt. Both the visible rotation and force transferred from the pedals to the wheel contribute to the rolling road bike feel. The fixed gear means that you can’t coast or stop abruptly like on other stationary bikes. 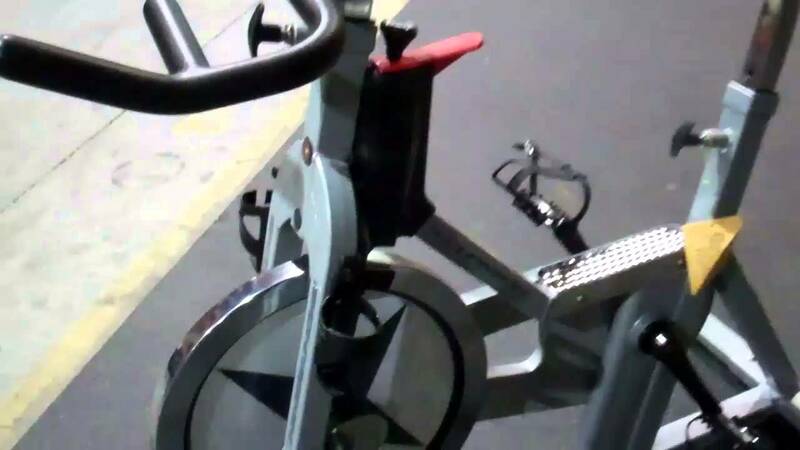 Traditional recumbent or upright exercise bikes tend to work using magnetic discs to create resistance. Resistance – Increasing resistance on a Spinning Bike is most commonly done by tightening a pad which acts like a break on the spinning wheel, requiring the rider to apply more pressure to maintain their cadence. Compared to the electronic buttons which alter resistance on a regular stationary bike the user will have to turn a knob or wheel. Home and Commercial Spin Bikes: What are the main differences? A commercial Spinning Bike is built to be used heavily in a studio or gym and is made to withstand over 6 hours of use per day, whereas home models are built for less intensive use. This is reflected in the design and construction, with commercial bikes having more durable frames and parts including the flywheel. If you are buying a commercial Spin Bike the manufacturer’s warranty will often be valid for two years, whereas home bikes will just be one year. Setting up a Spinning studio is often the next logical step for gym or fitness centre owners. We sometimes get asked how many bikes a gym needs to buy to set up a studio and whether a Spinning studio is a good investment. Often, the set up costs of a studio can be recouped in a year or less, but if you want to know more about the potential return on investment we would be happy to offer you some advice. The most important things to check when buying any spinning bikes are the flywheel weight, the drive and the braking systems, the sturdiness and quality of the frame, resistance and range of adjustments and the type and technologies of the console or the control panel. To understand these core things, I would recommend finding a comprehensive spinning bikes buying guide that elaborates each of these things exhaustively to be certain that you are making an investment that will yield great returns when you finally get to implement your workout schedule. 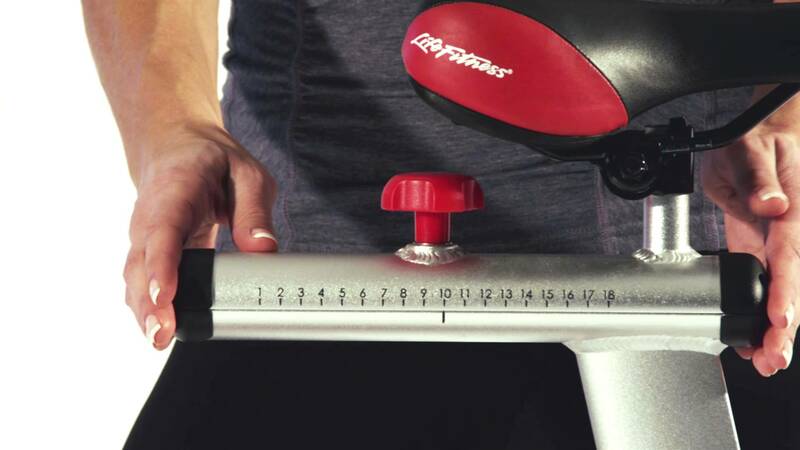 You should also take some time to read user fitness spin bikes reviews and get to understand what extras help you from an experienced customer’s perspective. Before you buy check around grab a spinning bikes buying guide or check around around this sites and watch a few videos I put up for your information. Also a good idea when you think you may have a good idea form a spinning bikes buying guide go take a class at a local gym or community centre and check out their spin bikes. Get them to set it up for you as most places do this or at least someone else in the class that knows how to set up a spinning bike and you will be good to go! If you Like this Post on Spinning Bikes Buying Guide Please Share To Care! What Makes Life Fitness Spinning Bikes the Best in the Market?